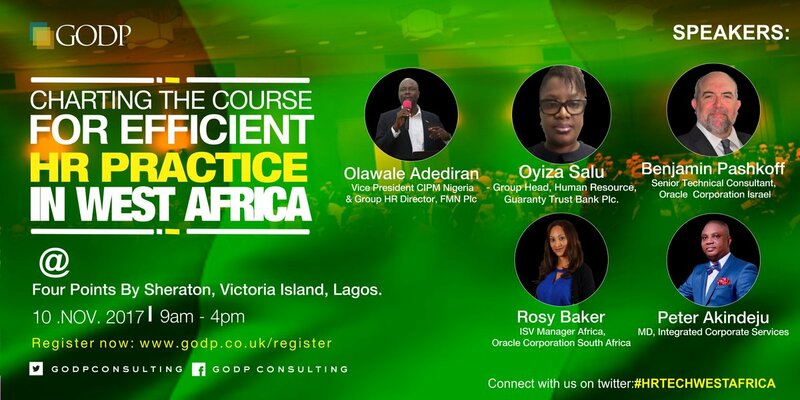 So you've been hearing about the 2017 HR Technology Conference West Africa and how it's the most unique meeting of HR and Tech Minds in Africa, where we would get to listen to internationally acclaimed speakers from the global HR and Tech space, who along with attendees will be helping Chart the Course for Efficient HR Practice in West Africa. Now that we've recapped all that serious info, let's talk on a lighter note; here are five fun facts about the #HRTECHWestAfrica Conference. Remember, it's not to be missed. #HRTECHWestAfrica comes packed with loaded sessions from key players in the HR and Tech space worldwide. With panel discussions, Interactive Q&A and other audience participatory sessions, #HRTECHWestAfrica provides an avenue for attendees to enquire and express their ideas. At #HRTECHWestAfrica, you'll network with peers and rub minds with contemporaries from both HR and Tech industries. Exhibition opportunities are available at #HRTECHWestAfrica for innovators to showcase new solutions and budding initiatives. An intellectually stimulating ambience awaits participants at #HRTECHWestAfrica, with light refreshments to kindle networking. So what are you waiting for? Register Now at www.godp.co.uk/register and be a part of this amazing experience.